Provost Professor in the Rossier School of Education and the Marshall School of Business at the University of Southern California. Shaun R. Harper is the Clifford and Betty Allen Chair in Urban Leadership, founder and executive director of the USC Race and Equity Center, and immediate past president of the Association for the Study of Higher Education. 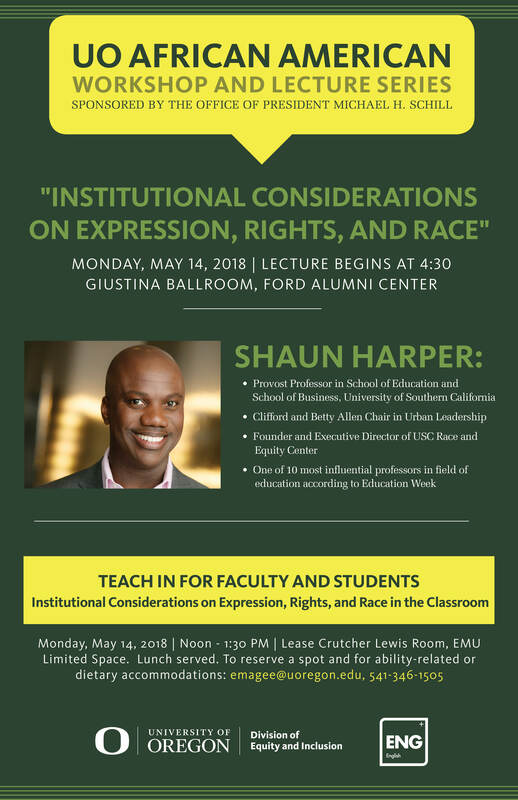 Dr. Harper’s research focuses primarily on race, gender, and other dimensions of equity in an array of organizational contexts, including K-12 schools, colleges and universities, and corporate environments. He has published over 100 peer-reviewed journal articles and other academic publications, and received more than $13 million in research grants. Johns Hopkins University Press is publishing his 13th book, Race Matters in College. His research has been cited in more than 8,000 published studies. The New York Times, Los Angeles Times, Washington Post, Wall Street Journal, Chronicle of Higher Education, and over 11,000 news outlets have quoted Professor Harper and featured his research. He has interviewed on CNN, ESPN, and NPR, and has been recognized in Education Week as one of the 10 most influential professors in the field of education. Dr. Harper spent a decade on the University of Pennsylvania faculty, where he founded the Center for the Study of Race and Equity in Education. The visit by Shaun R. Harper has been organized by the English department diversity committee with support from the College of Arts and Sciences, the Division of Equity and Inclusion, Department of English, the Coalition against Environmental Racism, the Horn Endowment and UO black studies program.